The authority responsible for ensuring that Ireland’s 1.8m workers are protected from work-related injury and ill-health has launched an awareness raising campaign for the fishing industry. Only 30% of fishermen inspected in a survey last November had a safety statement, and only one in five had completed a risk assessment. 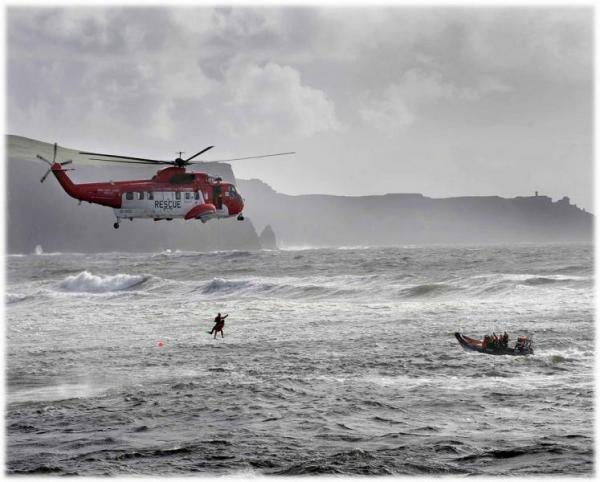 “We are concerned at the relatively low levels of compliance with the requirement to have a risk assessment and safety statement for fishing boats,” remarked Martin O’Halloran, Health and Safety Authority chief executive. Completing this process can be highly effective in managing risk and reducing accidents across other industry sectors and could be equally effective in the fishing sector, he added. “Fishermen often work in dangerous and extreme conditions, the smallest oversight can lead to disaster. Under these circumstances, it’s vital that skippers manage the risks and take the necessary precautions to protect themselves and their crew. Carrying out a risk assessment and preparing a safety statement for their boat will help skippers and owners identify the risks in advance and help to avoid the types of accidents we’ve seen all too often,” he said. Mr O’Halloran added that HSA inspectors regularly come across recurring injury and ill health issued caused by slips and trips; entanglement; poor manual handling and general unsafe systems of work. Over the past five years, the fatality rate among the general working population was 2.5 deaths per 100,000 workers; however in the fishing industry it was 92 per 100,000 workers. Fishermen are almost 40 times more likely to be killed at sea. Based on the number employed, sea fishing is the most dangerous sector in which to work.